View the full festival schedule here and follow the AMIF blog. This year’s festival comprises a constellation of screenings, readings and workshops extending from an invitation made by writer and researcher Laura Guy and artist Cara Tolmie to artists Mia Edelgart, Deirdre J. Humphrys and Alberta Whittle. 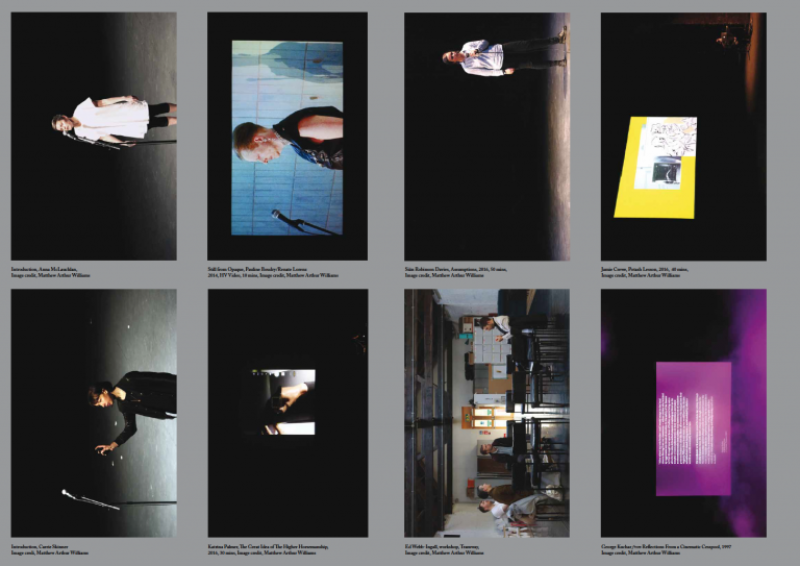 It features contributions from Fiona Jardine and Mira Mattar, and films by Sonia Boyce and Ain Bailey, Christian Noelle Charles, Harry Dodge, Jacqui Duckworth, Catherine Gund and Julie Tolentino, Henriette Heise, Maria Klonaris and Katerina Thomadaki, Jaguar Mary (formerly Jocelyn Taylor), Trinh T. Minh-ha and Jean-Paul Bourdier, Jayne Parker, Pia Rönicke, S. Pearl Sharp (formerly Saundra Sharp), and Ramses Underhill-Smith. A weekend-long exhibition, featuring new works by Mia Edelgart, Henriette Heise, Deirdre J. Humphrys and Pia Rönicke, alongside a selection of videos from the 1990s by Catherine Gund and Julie Tolentino, and Ramses Underhill-Smith. A workshop exploring interracial relationships and rest led by artist, researcher and educator Alberta Whittle. Reflections on authenticity and authorship from researcher and writer Fiona Jardine. A screening of Jacqui Duckworth’s 1982 reconstruction of a polyamorous lesbian relationship in which the work of emotional labour meets with the genre of melodrama. 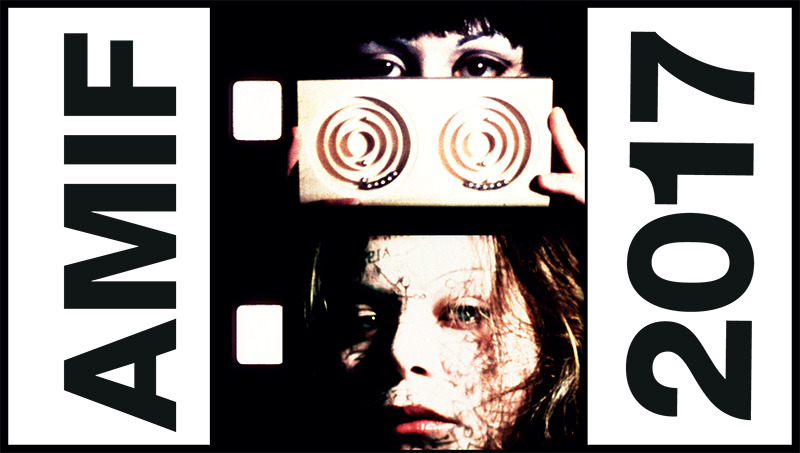 The first screening in Scotland of Maria Klonaris and Katerina Thomadaki’s, Double Labyrinthe (1975–76) a major and rarely seen touchstone in French feminist experimental film. With Katerina Thomadaki in attendance. A Sunday matinée performance of Trinh T. Minh-ha and Jean-Paul Bourdier’s narrative tale of love and voyeurism. A reading by writer and editor Mira Mattar. An informal discussion departing from the programme led by programmers Laura Guy and Cara Tolmie. 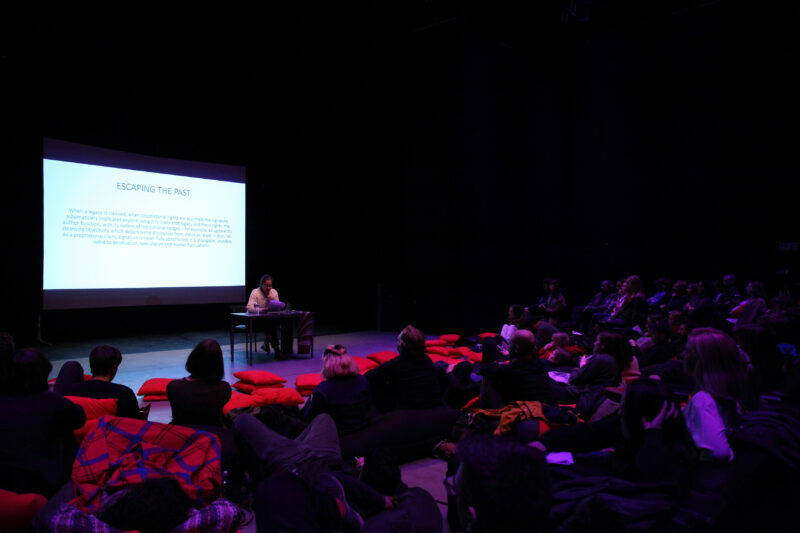 LUX Scotland and Tramway’s annual Artists’ Moving Image Festival (AMIF) was established in 2012 to provide a platform for the discussion and presentation of artists’ moving image, showcasing forms of production and research alongside screenings and discursive events. AMIF is presented and produced as a collaboration between Tramway and LUX Scotland, funded by Creative Scotland as part of Tramway’s core programme with additional support from LUX. AMIF 2017 is co-organised by Tramway and LUX Scotland as part of Tramway’s core programme, with additional support from LUX and the University of Edinburgh as part of Cruising the Seventies: Unearthing Pre-HIV/AIDS Queer Sexual Cultures. Maria Klonaris & Katerina Thomadaki, Double Labyrinthe, 1975–1976. Courtesy of the artists.